Verlon Reid, 90, beloved husband, father, and Mo (grandpa), was called home to his eternal resting place on May 1, 2016. Verlon was born March 20, 1926 in Moro, TX. He was born to Ernest Jackson and Minnie (Shaffer) Reid. 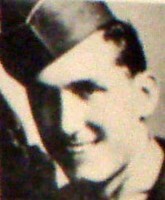 He attended school in Moro and Bradshaw, where he met his soul mate, Doris Evelyn Belew, whom he married on July 1, 1944. He served in the United States Army from 1944-1946. After serving in the war, he and Doris moved to Big Spring, Texas, where he worked as a barber. In 1962, they moved to Abilene where he worked as a car salesman at Arrow Ford. He and Doris were members of Calvary Baptist Church for 50+ years. Verlon is preceded in death by his parents, his brother Clyde Reid and a sister Josie Hicks. He is survived by his wife of 71 years, Doris Reid; daughter and son-in-law, Frank and Sherry Saling; grandson and wife, Heath and Alyssa Saling; grand-daughter and husband, Kevin and Heather DeFoor. He was a very proud Mo (great-grandpa) to 6, Stoney Reid McClure, Tanner DeFoor, Sydney McClure, Dakoda DeFoor, Saxon McClure, and Slaton Reid Saling; and survived by 3 sisters; Ellen Walters (Cal), Ethel Grun, and Leola (J.W.) Allmand, along with several nieces and nephews. Visitation will be May 3, 2016 from 10:00 AM to 11:30 AM at Bluff Creek Cowboy Church 3802 B FM 2405 Winters, Texas 79567. A celebration of his life will be held following the visitation at 11:30 AM. Burial will follow at Lakeview Cemetery directed by Fry-Smith Funeral Home, Tuscola. In lieu of flowers, donations can be made to the West Texas Rehabilitation Center, 4601 Hartford St.